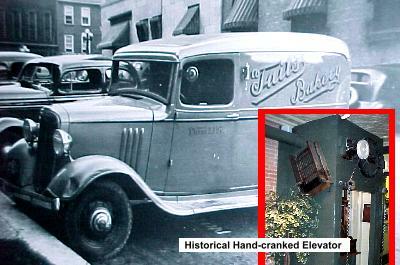 Tait's Bakery (Established 1908)Record Owner? Log in. Exit 696 from the 401 at Brockville and follow Hwy 29 into Downtown Brockville. 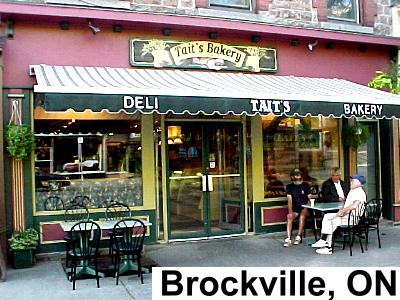 Taits Bakery is located across from the TD Bank in downtown Brockville. Monday - Thursday 7am - 5:30 pm. Friday 7am - 6:30 pm. Saturday 7am - 5 pm. Wholesaling the full line of products in the Brockville and Smiths Falls areas. Light breakfasts and lunches served with specialty coffees (cappuccino, etc.). Outdoor patio. 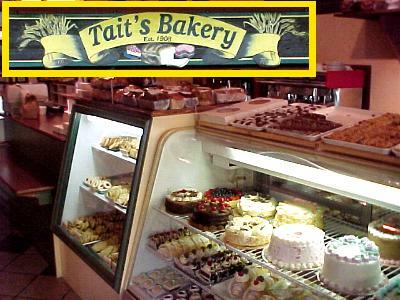 Have something to say about Tait's Bakery (Established 1908)?